(TibetanReview.net, Jan16, 2015) – Hundreds of Tibetan high school graduates and their parents had been protesting in Luchu (Chinese: Luqu) County of Kanlho (Gannan) Prefecture, Gansu Province, since Dec 28, demanding an investigation of alleged result manipulations that could end the employment prospects of many of the protesting examinees, said Washington-based International Campaign for Tibet Jan 14. 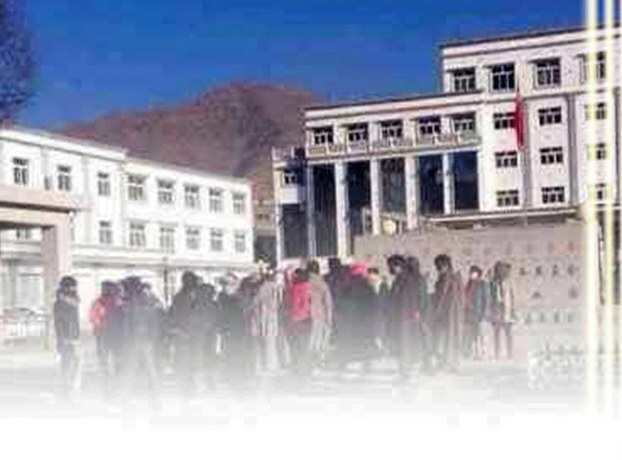 Students at the Luchu Middle School, a boarding school for Tibetan students that includes a high school department, were reported to have found that after their final exams in Dec 2014, high marks scored by local Tibetan students appeared to have been interchanged with the poorer results of candidates from outside the area by some corrupt local officials in exchange for money. This form of corruption was said to have begun some two years ago when the authorities no longer ensured jobs for Tibetan graduate students in Luchu. It led to local graduates being sidelined from job opportunities in the county, which include government posts and teaching jobs, depending on qualifications, as a result of corruption. Currently, while one group of Tibetans maintains vigil intermittently at the Luchu government offices since late Dec 2014, others are trying to raise the same concerns at the prefectural capital, Tsoe City (Hezuo). So far the county and prefectural authorities appeared to have done next to nothing to address the corruption allegation, although China’s President Xi Jinping had recently emphasized the role of county-level governments in ensuring authority and “exercising self-discipline” in the ongoing high-profile campaign against corruption in China. County-level governments had “taken on more responsibility in the implementation of reform measures, the promotion of rule of law and the enforcement of strict Party discipline. Thus, Party chiefs must acknowledge their authority and exercise self-discipline in their work,” China’s official Xinhua news agency Jan 12 quoted Xi as saying while speaking at the first seminar for county-level Party chiefs at the Central Party School of the CCP on Jan 12. “Self discipline” refers, from among other things, to refraining from engaging in corrupt practices.